The holidays are the most wonderful time of the year—especially for brands. This year, holiday sales are expected to reach a staggering $923 billion, up 3 percent from last season. While these figures might make you dream of high profits, it’s important to realize that more spending also means more competition—making it necessary to further refine your marketing strategies. Timing is everything when it comes to holiday marketing campaigns. According to the latest infographic from MDG Advertising, more than one-third of holiday shoppers start making purchases as early as October, and others will continue shopping well into January. Successful businesses will have their messaging ready for these time periods. Recommendations will also play a critical role when it comes to making purchasing decisions. When holiday shopping, 44 percent of customers ask for product recommendations from family and friends. Potential customers also look to social media for buying inspiration—especially younger shoppers. If your goal is to tap into the millennial market, you’ll especially need to up your social media game. Of course, you can’t discuss holiday shopping without mentioning the elephant in the room—Amazon. MDG’s infographic reveals how Amazon impacts the world of online shopping and how your brand can compete against this merchandising giant. You’ll also learn how easy returns and a mobile-friendly shopping experience can help boost sales. Ultimately, implementing smart tactics when engaging in holiday marketing can have a tremendous impact on your company’s profits. 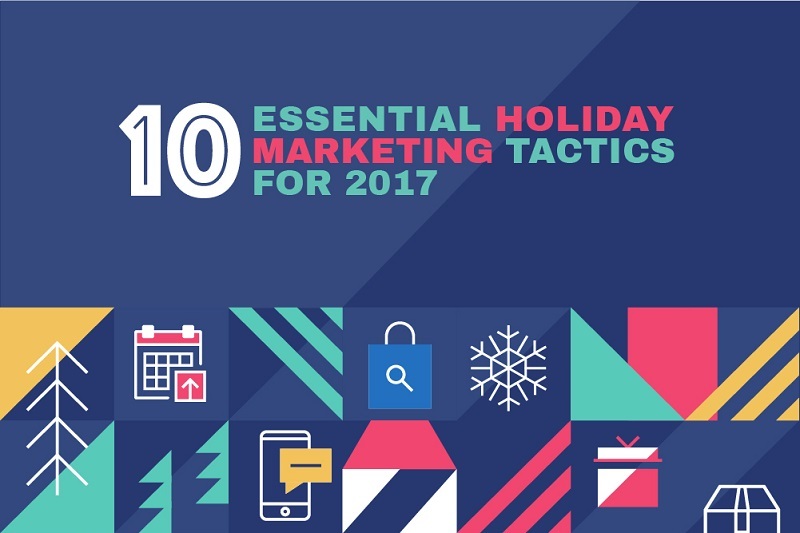 To find out how your brand can break through the holiday noise, check out this infographic.